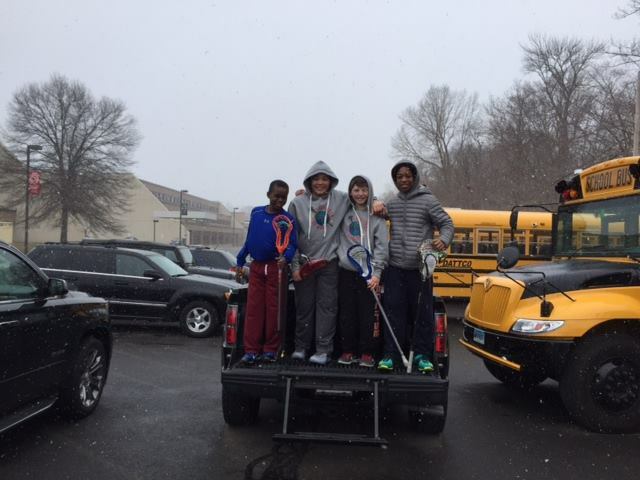 March 28th, HLL student-athletes from Frederick Douglass Academy and Promise Academy II took New Canaan, Connecticut by storm. The boys participated in a 3 v 3 tournament with kids from both New Canaan and Darien youth lacrossse programs: making new friends and getting better all in the same day! More importantly, the event helped raise $20,000 dollars plus for high school lacrosse players from Frederick Douglas Academy I and New Canaan High School who are partnering with buildOn to build their own school in Nicaragua in Summer 2016! Thanks to Conor Gill, Tom and Andy Towers, Garth Appelt, New Canaan Head Coach Chip Buzzeo. NC Athletic Director Jay Egan, and everyone else involved for making such a special day for the kids!